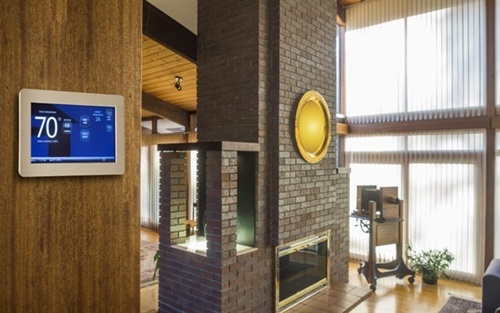 A thermostat is very important because it maintains the temperatures. It ensures that the temperature of the room or the area remains the same despite the changes in weather and climate. It is very essential for home comfort at all times, especially in humid, hot climate. However, it can only be to ensure comfort if it is functioning well. Any change in its performance is worrisome. All you need to do is check your thermostat before you call a cooling expert to fix whatever problem there is. definitely impact the performance of the cooling system directly and thus the comfort. When problems develop, there are hardly ever dramatic events with just sparks flying, or it can be where the smoke alarms sound. In more often than note, most malfunctions cause sudden or subtle changes in the performance of the cooling system. Because the functionality of the system is affected, you are more likely to misinterpret the symptoms as serious and urgent HVAC equipment problems when just a simple fix at your gadget may be more than what is needed. 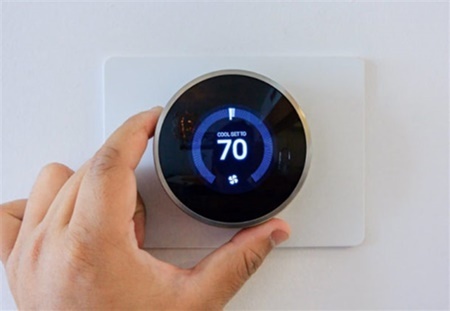 If your air conditioner short cycles, and, or runs without stopping, and your living space becomes a bit warmer than the temperature setting you desire, or you experience a sudden cooling failure, there might be a problem with your thermostat. It’s extremely important that you learn how to troubleshoot such issues as this will help you avoid any unnecessary and sometimes costly service call. Here are some of the most common issues you might experience and how to fix them on your own. If you are sure that it is receiving power, just shut off the breaker for you to take off the cover safely. Examine each of the inner components carefully. Start by checking if there is a buildup of dirt, dust, cigarette smoke or soot. A coating of debris especially on the electrical and mechanical components can actually affect any thermostat’s normal functioning in a negative way. So, be sure to clean all the components very carefully. Use a soft brush or canned compressed air to do the cleaning. After cleaning, check for the obvious problems with each component, like terminal screws that should be tightened or loose wiring. Check the wiring for any signs of corrosion. If there is any, just use just use the wiring schematic that you will find in the manual of your own as a replacement guide. Alternatively, you can as well replace your thermostat. 2. Room temperature not reaching the thermostat setting: the inconsistencies between the actual room temperature and the temperature setting may be caused by a buildup of grime. Before you take any additional steps, follow the cleaning steps I have provided above first. leave any usually level thermostat off kilter. What’s more, this may also cause temperature discrepancies. Good thing is, this can easily be corrected. Just place a carpenter’s level below or above the thermostat then adjust it until it is at its sitting level. Another possible culprit is a stuck heat anticipator especially if a gadget that is a mechanical model. Take the cover off and find the anticipator by simply looking for a tiny metal arm that is sitting on a round dial. Just push the arm slowly in either direction. Usually, it will become free. You should also consider the position of the thermostat in your home because if it’s in a bad location, it might not regulate the temperature as accurately as it should. Check if it is exposed to cold drafts, direct sunlight or any other heat sources. Again, it should not be positioned in an isolated area that is far from your living area. Just try relocating it, and that might just be the solution. 3. Continuous running or regular short cycling A thermostat that is dirty inside or doesn’t sit level can cause short cycling and almost a nonstop operation that eats away at energy efficiency. Just follow the instructions provided above to check for these two issues and resolve them first. A poorly calibrated anticipator is another possible cause. Try lengthening the cooling cycle. You can do that by simply moving the anticipator arm in the single-notch increments in the direction of the marking for “longer” that is on the gadget’s round dial. Be sure to allow the A/C to complete a full circle in between the adjustments until you notice a significant improvement. In case you have tried using the troubleshooting tips provided above but you’re still not able to identify or fix the problem, you should contact an experienced, certified HVAC professional to do a further investigation so that he or she identifies the cause. Again, it’s recommended that you upgrade to a new programmable model from an older thermostat even if you are successful in troubleshooting yours. This will avert any future problems. For certified, experienced and fully licensed HVAC professionals, just contact ATA Heating & Air Conditioning Inc, a privately held company located in Woodland Hills, CA, and has been in operation since 1998. We are customer-centric, and you surely cannot go wrong with us. We are available at any time, and we respond to emergencies as well. ATA is simply the company to go to when you need great and affordable HVAC services.